My good friend Kit came and visit us from Hong Kong last week, we spent the first few days catching up and chitchatting. It was funny that we came to realized that the last few times we met, were all in different countries -- Malaysia, Hong Kong, India and now USA. The only thing unchanged is the friendship and the way we feel for each other. As we talked about my past visit to Hongkong, I started craving for some good roast pork, one of the day when we went for grocery shopping, we bought some pork belly and decided to make this roast pork at home! 1. 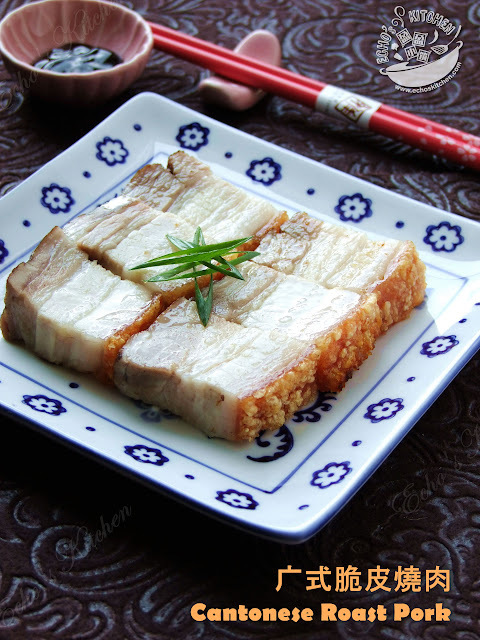 Clean the pork belly well, blanch it in a pot with sliced ginger, spring onion and cooking wine, cook the meat for 5-8 minutes until it changes color. 2. Drained and cut about 1/2 an inch deep through the meaty part of pork belly. Rubbed the mixture of Chinese five spice and salt over the meat, make sure not to stain the skin, as the five spice may give a bitter taste over the skin after baking. of rice vinegar over skin leave the skin part exposed to dry. Leave the pork belly in the fridge over night. 4. The next day，use a few tooth pick/bamboo skewer/needles, poke multiple holes over the dried skin, then spread a thin layer of baking soda over the skin. Before putting it into the oven, spread or spray a thin layer of oil over the skin. 5. 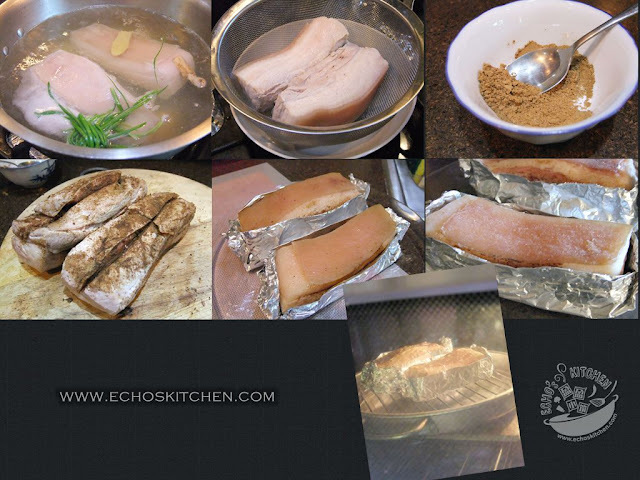 Preheat oven to 380F （195 C), bake the pork belly with foil for 20-25. Take out, open the foil and continue baking at 400F（205C) for another 10-15 minutes until bubbles show on the skin. 6. Take it out and wait for a little before cutting into pieces. 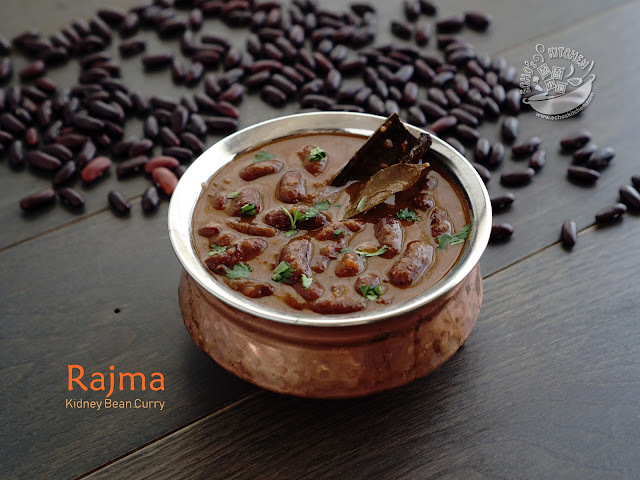 Serve with Hoisin Sauce. Note：make sure you place a baking sheet underneath of the pork belly, otherwise it could smoke quite bad. I am so glad that you liked it! Welcome to my blog!